Want to take coaching in Gurgaon and looking for General Ranjit SSB coaching academy information? Read on to know about contact numbers, recommended candidate details, coaching classes schedule and fees structure of General Ranjit Singh SSB Coaching. Retd. Major General Ranjit Singh AVSM VSM gives training for SSB aspirants. General Ranjit Singh SSB training institute is one of the best institutes in Gurgaon, India. Located in Gurgaon, General Ranjit Singh SSB Coaching Academy does offer coaching for various defence SSB interviews and entrance exam preparation for AFCAT, NDA & NA, CDSE etc. Retd. Major General (Dr.) Ranjit Singh AVSM, VSM is the founder of this coaching institute. He was exceptional at his studies when he was a student in Kurukshetra University and after becoming an officer in Indian Army, he has not slowed down anywhere in his entire career. With his passion towards sports, he has won many medals and awards. After retiring from the Indian Army, Major General Ranjit Singh AVSM, VSM (Retd) has started a coaching center of SSB and related exams in Gurgaon in Delhi NCR region to train talented candidates who want to become officers in Indian Armed Forces. Major General's experience as a psychologist in his Army career makes this institute one of the best among Gurgaon's SSB coaching academies. General Ranjit Singh Academy has good faculty to boast of. One of the key faculty is the founder himself i.e, Major General (Dr.) Ranjit Singh AVSM VSM (Retd). Here is the list of complete faculty. General Ranjit SSB Coaching Academy do conduct many courses according to the needs of candidates. It has special courses for SSBs in Air Force, Army and Navy. There are numerous courses for written exams such as AFCAT, NDA & NA, CDSE, ACC etc. Fees structure of General Ranjit Academy is given here. Written course of NDA and CDS (IMA) - 06 weeks duration - students will be charged 12000 rupees. Written course of CDS (OTA) - 06 weeks duration - students are charged 10000 rupees for this course. General Ranjit Singh academy organises 4 week crash courses for NDA, CDS for which it charges 10000 rupees as fees. SSB interview coaching is provided for 12 days and a candidate is charged 7000 rupees for training. A candidate need to pay 1000 rupees extra for PABT coaching. General Ranjit Singh Academy do have hostel facility for boys and girls. Generally four candidates are made to stay in one room in which attached latrine and bathroom will be there. Both Air Conditioned and non air conditioned rooms are available. For no AC rooms, one have to pay 150 rupees per day. For AC rooms on four person sharing, candidate need to pay 175 rupees per day. General Ranjit Singh SSB Coaching Academy has separate hostel for girls. Also meals is provided at extra cost to all hostelers. General Ranjit SSB coaching academy is located in Gurgaon, Haryana. Gurgaon is well connected by New Delhi and Ghaziabad. The SSB training center is in Sir Chhotu Ram Bhawan, Sector 32 of Jharsa village of Gurgaon. If you have any queries and want to talk to the management or faculty to clear doubts, please do contact on 8800980045, 8901233222 phone numbers. Also candidates who want to attend SSB coaching in General Ranjit Academy may send e mail queries to info@generalranjitacademy.com. 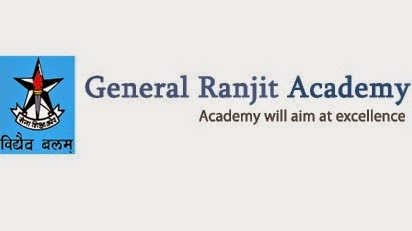 For full information, visit General Ranjit Academy's official website i.e., www.generalranjitacademy.com. Thus we recommend General Ranjit SSB Coaching Academy, Gurgaon to get SSB coaching.